Few in fitness would argue that great group fitness Instructors don’t deserve better pay, but finding the budget to reward them remains a major headache for health clubs. We look at five positive steps clubs can take to unlock the extra cash that can safeguard star performers and attract new talent. The past 20 years have brought unprecedented change in the fitness industry. A period of sustained global growth has seen the resurgence of budget gyms, the emergence of boutiques, wearable tech taking hold on our workouts and more crazes than you could shake a battle-rope at. But there’s one thing that’s barely changed at all in those 20 years – and that’s pay rates for group fitness Instructors. Despite being highly-trained experts, responsible for the health, safety and enjoyment of large groups of people, group fitness Instructors have seen the typical rates flat-line at US$27 (€24) for leading an hour-long class (IHRSA Fitness Professional Outlook 2018 report). This is considerably less than the average hourly fee charged by personal trainers, and lower still when you factor in the travel, prep and set-up time group fitness Instructors must also invest in delivering their classes for no extra pay. Such issues make it increasingly tough for clubs to attract new talent into the fitness industry, with a recent IHRSA survey of 86 European health club leaders finding that recruiting and retaining great people remains their number one challenge. The smaller talent pool only serves to intensify competition among clubs. Fitness professionals have the power to make or break a member’s gym experience, and a single rockstar group fitness Instructor can pull in hundreds of loyal followers to a club each week – resulting in substantial extra membership revenue. The battle for top talent has been exacerbated further by the boom of boutique gyms over the past decade. 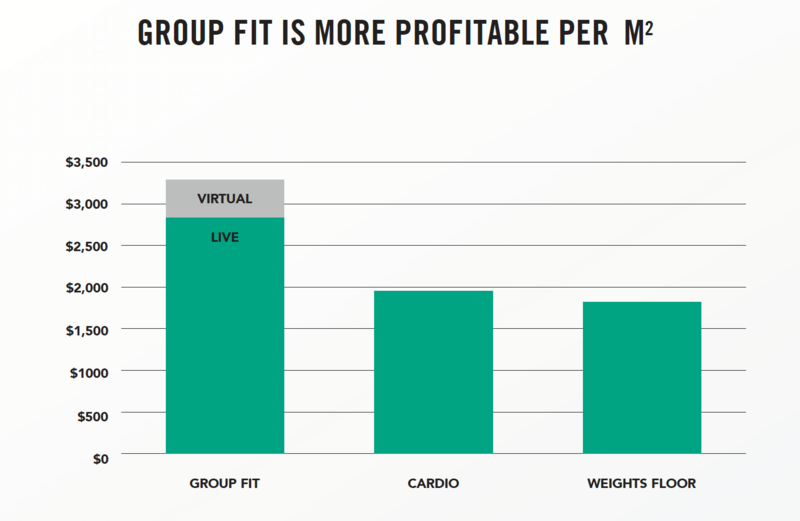 Boutiques have thrived by focusing on specialised group fitness experiences and their success while charging upwards of US$25 (€22) per class demonstrates that people are willing to invest good money for a high-quality workout. These higher margins have enabled them to better reward top talent, with standout boutique Instructors able to command upwards of US$100 (€88) per class. But for the majority of Instructors, these sums remain a distant dream. So what can traditional health clubs do to better remunerate their top Instructors and ensure they won’t be snatched away by boutiques? Here are five ways that clubs can reward and retain their rockstars. One of the biggest untapped assets for traditional clubs is the space that they have to create a jumbo group exercise studio. Research has shown (see diagram below) that the studio is the most profitable area of the club per sq ft when built at the right scale, but too many clubs remain scared to dream big. On the flip side, clubs willing to be bold can yield impressive results. “At our Les Mills clubs in New Zealand we put group exercise front and centre by building large studios of up to 8,000sq ft which can accommodate 200 people per class,” said Les Mills International CEO Phillip Mills on a recent European speaking tour. 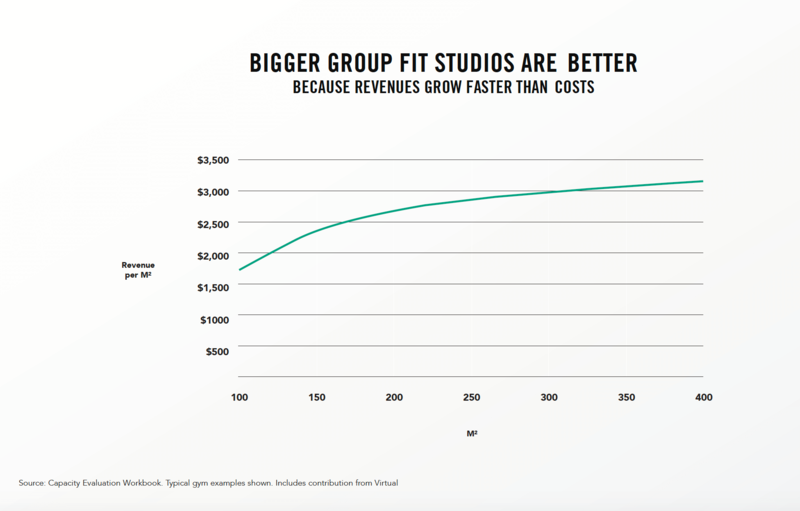 By unlocking the economies of scale that come with a bigger studio, clubs can afford to properly pay top Instructors and negate the threat of them being poached by boutiques. But even if you can’t make your studio any better, you can still incentivize your Instructors with pay related to how well they fill their classes. Packed classes mean more members joining your gym and staying for longer, enabling you to share the spoils with Instructors. In turn, they are more likely to put the hard yards into marketing their classes at your club across their social media channels – most Instructors will have more than one! This fresh approach to pay has been embraced by Portuguese health club operator SC Fitness, which is pioneering a data-driven approach to group fitness and yielding impressive results. “Our autocount software produces an integrated scorecard that measures weekly group fitness attendance, the % facility visits delivered by group fitness, average attendance per class, individual class performance versus target, class ranking and program performance,” explains Head of Customer Experience José Teixeira. “It’s linked to our payroll system, so payments to our group fitness Instructors are calculated in accordance with their scorecard results, with top performers being better rewarded. SC Fitness is not the only group fitness-focused club operator to see strong RoI from focusing on its Instructors. 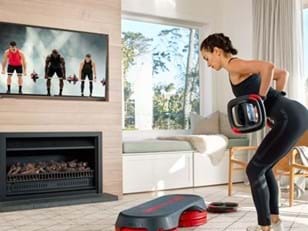 UK chain Village Gym – which operates 30 high-end health clubs – saw class attendances jump 40% thanks to a recent focus on upskilling group fitness Instructors. The operator paid for 90 of its Instructors to go through Les Mills Advanced Instructor Module (AIM) training to sharpen their skills and raise the quality of the overall Village group fitness offering. The plan represented a major financial commitment, but for Village, the results were as swift as they were staggering. Within three months, average class occupancy had leapt by up to 40%, while this metric at Village’s pilot site in Bournemouth went from 78% to 96%. Member retention (up by an average of 5-10% per month) and referrals were through the roof, meaning the better-qualified Instructors could now receive higher rates of pay. This, in turn, led to better Instructor engagement and a long list of talented trainers eager to join the Village team. “Word has got around that we made some bold moves, and for Village, it has definitely been a game-changer,” explains Village Gym Leisure Director Chris Southall. “We set ourselves the goal that every Village Gym would have best Instructors in town – the real rockstars that pack out every class and bring members by the dozen. 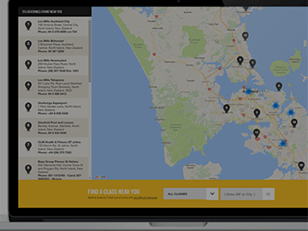 For those limited by space, there are opportunities within your timetable itself to unlock extra cash and reward top Instructors. For example, research has shown that indoor cycling is the most lucrative activity (per sq m) that clubs can offer in their studio (see diagram below). Not only is indoor cycling the most lucrative offering for clubs, it’s also currently one of the hottest categories among consumers. Several recent research pieces have shown indoor cycling to be the most popular class category. 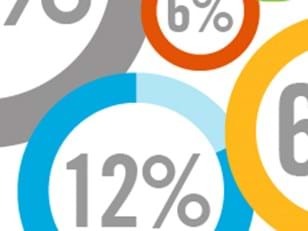 Findings from the 2019 Les Mills Global Consumer Fitness Survey (spanning 12,163 fitness consumers across 22 countries) indicate that 20% of the global fitness markets are currently doing or would consider doing indoor cycle classes. Meanwhile, the recent “Moving Communities: Active Leisure Trends 2018” report from the DataHub and ukactive concludes that Indoor Cycling classes lead the way in health clubs, accounting for 13% of total group exercise attendances in the last year. 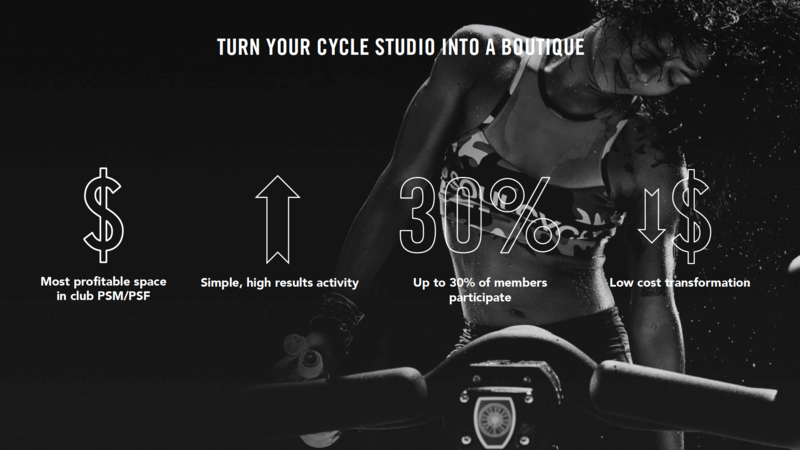 As a result, indoor cycling has been highlighted as a growth category with significant latent potential, particularly for traditional clubs seeking to attract younger members and battle back against the boutiques. Rewarding Instructors will be key to attracting the top talent needed to spearhead these efforts. Sometimes, even with the best will in the world, a club’s budget can’t immediately stretch to accommodate increased rates of pay for group fitness Instructors. In this scenario, there are many other options a club can take to ensure Instructors feel valued and rewarded. Motivation is the fuel that fires a high-performing group fitness team and this can be nurtured through a variety of techniques. Uniting the team under a powerful purpose statement and agreeing on a challenging set of team and individual goals can be a great catalyst while building camaraderie through socials can add a strong sense of fun to the team’s journey. 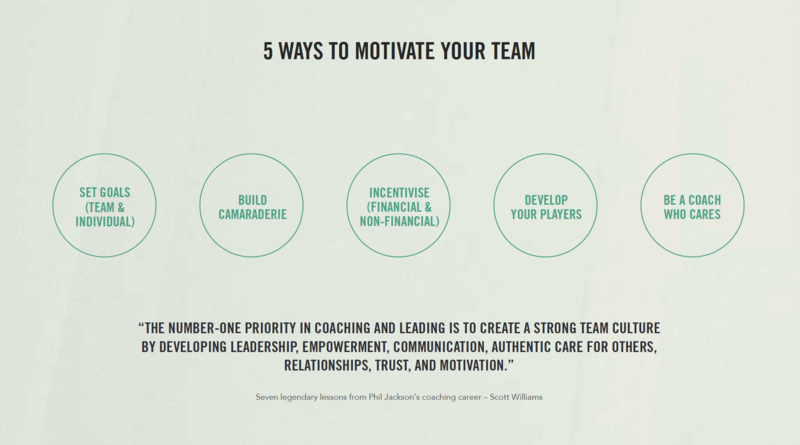 Rewarding high performers with opportunities for training and development can spark a continuous cycle of improvement, while one of the most overlooked factors in motivating a team can be simply serving as a good coach who clearly cares about growing them. “We have great continuity across our Instructor team so we really try to make them feel comfortable in the club and part of the family,” says Alexandra Haase, Wellbeing Manager at Aspria Hamburg Alstertal in Germany. “I really care about our group fitness trainers and I want them to stay a long time to create a great culture and good relationships with the members because the best trainers in the club with the fullest classes are the ones we’ve had for 10 years or more.